Changes for 2019: Thanks everyone for your support of our custom knits. We have a long waiting list for the first come / first serve Winona Camouflage knits - at this time new orders will be processed mid August 2019. May you have a happy and healthy New Year! 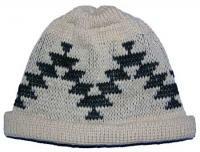 Thank you for shopping at The Knit Tree. We appreciate all our customers. After over 45 years of operating The Knit Tree, in 2018, I will be semi-retiring. 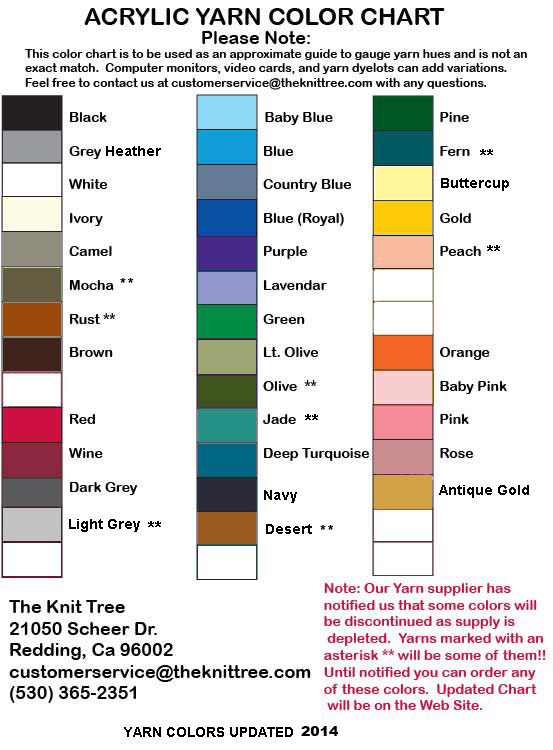 My goal is to continue offering you quality custom knit products by narrowing down the number of knits we offer and by taking limited orders on garments (camo jackets, vests, and pants). I will keep all the Winona Camo, the Native American, and Yarn, Kits and Patterns categories. I will be updating the online store to reflect these changes and look forward to hearing from you in the coming years. 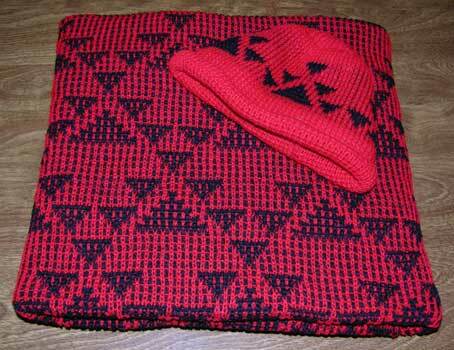 The Featured Native design on this receiving size blanket is Goose. The blanket has a two color all over pattern. 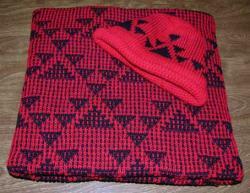 The Cap is knit in the same two colors as the blanket . Artisan: Darlene Marshall. Darlene is a regisitered member of the Hupa Tribe and lives on the Hupa reservation in Hoopa, Northern California. Size: Baby Blanket : Approx. 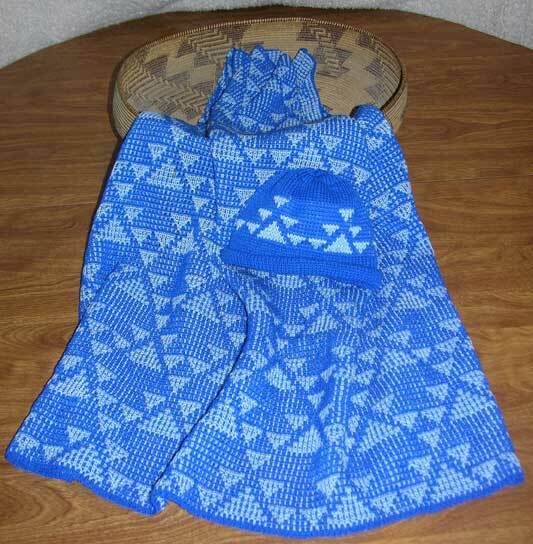 34" x 34"
© Products and Images Copyright 2004 - 2019 by The Knit Tree All rights reserved.